One of Mark Weiser’s first envisionments of ubiquitous and pervasive computing had the smart home as its central core. Since then, researchers focused on realizing this vision have built out from the smart home to the smart city. Such environments aim to improve the transparency of information and the quality of life through access to smarter and more appropriate services. Despite efforts to build these environments, there are still many unanswered questions: What does it mean to make a building or a city “smart”? What infrastructure is necessary to support smart environments? What is the return on investment of a smart environment? The guest editors invite original and high-quality submissions addressing all aspects of this field, as long as the connection to the focus topic is clear and emphasized. To present works-in-progress directly to the community, visit our Reddit community: www.reddit.com/r/pervasivecomputing. For general author guidelines or submission details: www.computer.org/web/peer-review/magazines or email pervasive@computer.org. To submit your article directly to our online peer-review system, go directly to https://mc.manuscriptcentral.com/pc-cs. Yesterday I was surprised when I searched some new journal articles through UCL library’s E-Journal service. Volume85, Number 5, 2014 of Town Planning Review that was published just some days ago includes a new paper of Professor Peter Hall. Unfortunately, it is still unable to look through the UCL service, ‘And one fine morning -’: reflections on a double centenary, the paper can arouse the glad to read his words as well as the grief losing a great urbanist who passed away on 30 July 2014. I, had trained as an architectural designer, started to have an interest in urban studies after reading one of his tremendous books ‘Cities of Tomorrow: An Intellectual History of Urban Planning and Design in the Twentieth Century.’ The book carefully and attractively introduced the history of modern cities from the 19th century to the end of the 20th century and it unveiled hidden stories that had built on the characteristics of each city step by step. 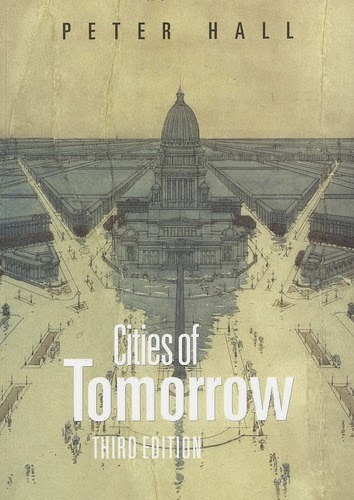 The most interesting point what I found in this book, his vision for the city is not heading for built forms, but alternative society as Ebenezer Howard pursued. And it was entirely enough to bring the young student to London. After I have entered The Bartlett, UCL, I had the opportunity to audit his seminar class for masters’ students. Every week, students groups analysed urban problems of particular cities in the world and studied how urban policies have intervened in the problems. When I listened his comments in the class, I could imagine Kung-Fu masters who simply overwhelmed many fighters in the movie what I watched long years ago . He looked like he knew everything about cities, and he was thoroughly conversant with geographical, economic and social issues from European cities to Sydney, Singapore and Global South. Recently, Regional Studies that Peter Hall worked as the first editor published a virtual special issue to commemorate him. In the editorial page, Nicholas A. Phelps and Mark Tewdwr-Jones admire him highly as the academic who “successfully brought together in his career – history, geography and planning” and explained his achievements based on his articles in the issue that you can freely access. I have made the list of his recent books. Also I have checked his lecture videos on online. Youtube and Vimeo contain some his lectures, but the following videos might be useful to watch. Geography of a recession glimmers of hope? I recommend seeing Michal Batty’s tribute for Peter Hall. Global Database of Events, Language, and Tone (GDELT) is a remarkable organisation to provide, freely, the data of all human behaviours, particularly protest, over the world since 1979. They are trying to make “real-time social sciences earth observatory” by updating the data every day. It is running by three researchers, Kalev Leetaru, Philip Schrodt and Patrick Brandt. If you visit their website and their blog, you would be surprised by their enormous data set as well as effective and nice visualisation. For example, recent GDELT’s work is showing protest movement in 2013. (Image 1) This interactive map illustrates how many protests have been raising in the world a year including Egypt, Brazil and Turkey, and we can recognise that the flame of protests are covering the world even though the data would not report all hidden protests. Another map describes the terrific condition of Syria’s civil war in detail. 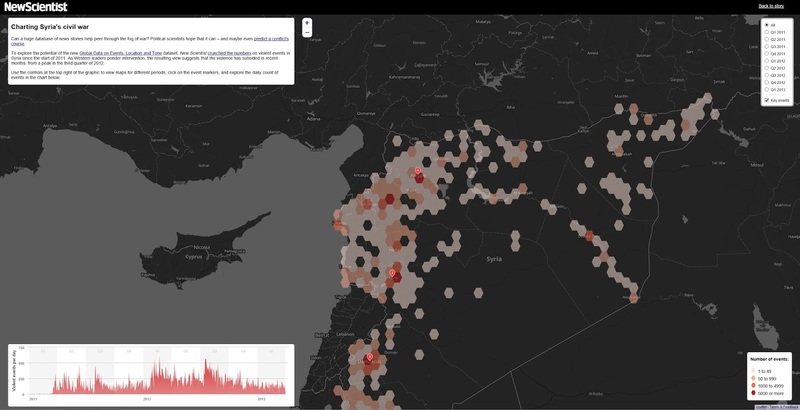 (Image 2) Visualising the location, the number of violence per day and the period of the civil war together warns us how the situation is significant much more than just some sentences and images of broadcasting news. It was issued on The Guardian. However, the most important thing is their continuous effort to collect the data, sort it out and provide the valuable data for further research. Opening the data might not be an easy decision and it would be a extremely time-consuming work. After visiting the website of GDELT, Networking City understood the importance of open data, its impacts and the power of visualisation, and promised to work hard and being more opened. Image1.Talia Kaufmann gave the presentation at CASA Lunchtime Seminar. The image was taken by Networking City. On 10th July 11, 2013, CASA Lunch Seminar was commenced in The Rockefeller Building. Talia Kaufmann, who is a visiting student from MIT Master in City Planning, provided her current research ‘Parameterizing land use planning’. After she finished her bachelor degree in Architecture Tel-Aviv University, Israel and worked as an urban planner for the Tel Aviv-Yafo City Planning Department. Throughout the presentation, she showed brilliant ideas and cool images. Also, some arguable points were emerging in her presentation, and the considerable discussion between audiences and Talia was continued. For example, one of her main idea is to randomly capture Google Street View images from several targeting cities and ask people to answer their sense of images. And it becomes the score of each city. The audiences questioned about the precondition of the idea. Can we measure the feeling of the city by just watching some images? Would there be the gap between the feeling of Street View images and the true feeling of cities? Is there any delicate setting for cultural backgrounds and individual subjectivity of participants? This seminar could be a good opportunity for her to listen others’ comments, articulate the ideas and develop many possibilities of her research. BSP Seminar – Compact cities or garden suburbs? In this year, Bartlett School of Planning run BSP seminar series over the semesters. On 6 March 2013, Dr. Nicolas Falk, Director of URBED (Urbanism Environment Design), provided a presentation the title of “Compact cities or garden suburbs?” at Central House of UCL. Because I was bit late, I could not watch all his presentation. He suggested simple but well-summarised planning keywords and showed relevant examples over the European cities. For example, he argued there are five key elements to reach Smart Growth. The five keys can be represented as 5C: community, connectivity, character, climate and collaboration. And he mentioned the meaning of the community with examples such as ‘Schools as community hub with Houton, NL’ and ‘Places for all ages with Reiselfeld, Freiburg, Germany’. Connected city, Five finger strategy and Redefining Greenbelt were mentioned as the future direction for smart growth in the UK as the conclusion of the lecture. In particular, he had expressed the negative feeling against current Greenbelt policy. According to him, the greenbelt of London is little bit old-fashioned and the greenbelt has been a strong obstacle to expand development areas and connecting between London and other cities. Although he said Redefining Greenbelt as one issue of the future direction, all three items should be accompanied with the reorganisation of London’s greenbelt. During his lecture, some questions were emerging by myself. Is really Green belt the obstruction of smart growth? Is there smart growth? If possible, how are different process and method needed compared to typical urban development? How can it work in high density? I think there are two reasons why the questions were come up. In the first, he emphasised the term of ‘smart’ and ‘smarter’ several times in his lecture. However, the term, smart, has been considering with the development of technology in our built-environment while his suggestions and examples were more familiar with sustainable urban planning and design. Secondly, the key issues what he argued are too abstract and vague. We know community, connectivity, character, climate and collaboration are crucial factors. People might want to listen from him how we can achieve those factors, what kind of process, the roles of stakeholders and so on. There are good materials of urban design, field research and regional study on the homepage of URBED. They have run urban design and architectural design studios at University of Sheffield, so we can find the links of interesting students’ works. Also, they published ‘Sustainable Urban Neighbourhood’ in 2010 what includes some contents of today’s lecture.